Maui Adventuring with this loving couple! Seven years ago Diane & Don honeymooned here in Maui & I was as fortunate to get to create some magic with them. Seven years later they returned on their anniversary & we struck gold. We did not just one adventure but two On two sides of the island & I’m absolutely ecstatic about the great images we came up with! Day one adventures started in sleepy, eclectic, little Paia town continuing out to Hookipa Beach Park & couple other hidden gems most people never get to see. On day 2 we adventured way out on the west Maui mountains to a couple cool spots & then to this fairy tail forest which had them in awe staring at its beauty! 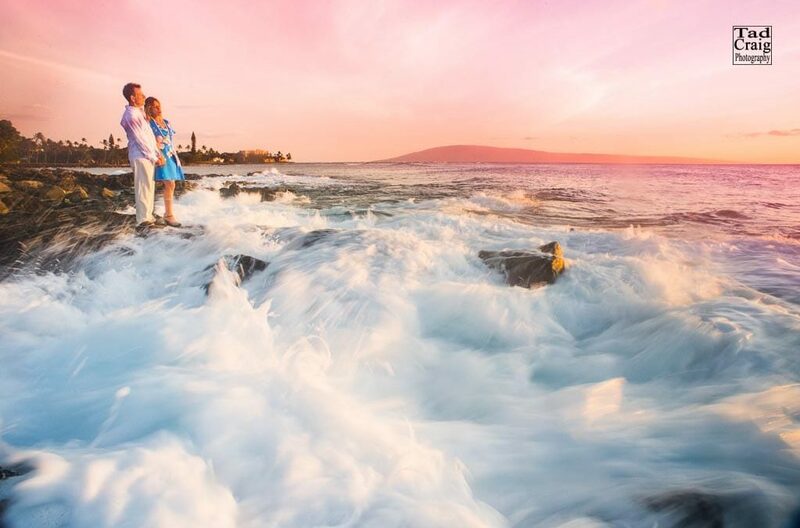 Wanting every bit of Maui’s beauty in their images we adventured to this hidden rocky point on the west side & were rewarded with amazing light, swirly water & a fantastic sunset! Dreams Delivered! Congrats to these two special souls!